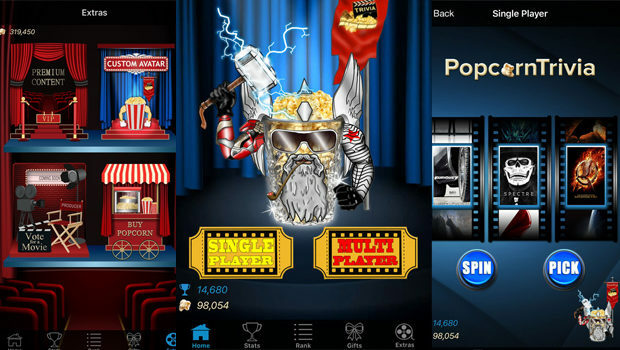 PopcornTrivia is a free-to-play app for iPhone and iPad, which give users an opportunity to compete and test their movie knowledge. This is actually a movie quiz which contains a great number of questions about movie content. When the application is started, user has an option to choose whether he or she will play in singleplayer or multiplayer mode. When the single player option is chosen, player has to spin the wheel which will give him a possibility to gain bonus. 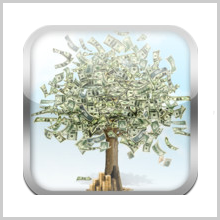 Even if the rules about getting bonuses are not very clear at the beginning, later bonus can help a player to answer extra hard questions and lead them higher on the leaderboard. 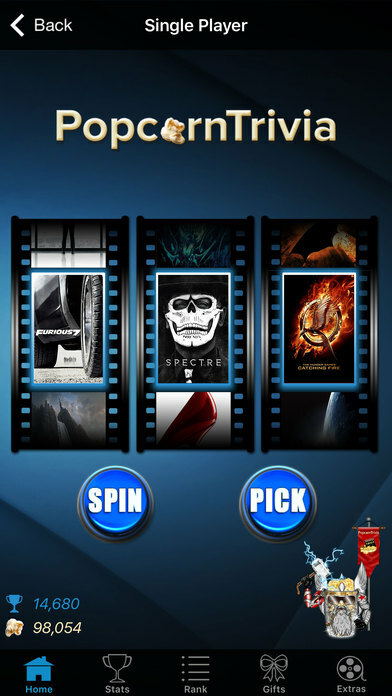 After spinning the wheel, there is a ”pick” button which leads to a movie list. The user can pick any movie, depending on his own taste. The main goal is to answer questions which are connected directly to chosen movie. The more correct answers player gives, the more points he earns. The trivia even offers a lot of gifts for the best players in form of avatars that can give a player satisfaction and award it for high knowledge about favourite movies. 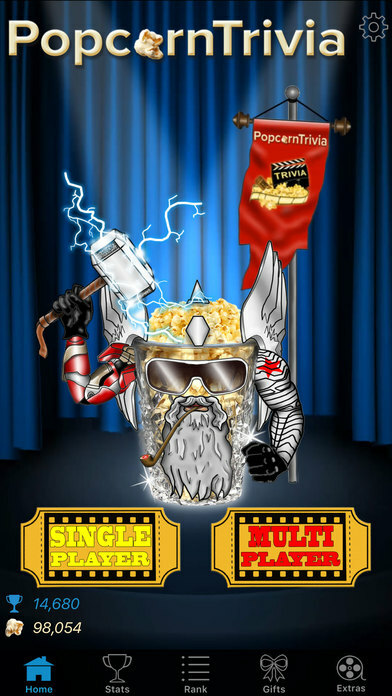 Also a good thing about this application is that it have multiplayer option, which gives a player unique experience to compete and test his understanding of movies with other player from the rest of the world. 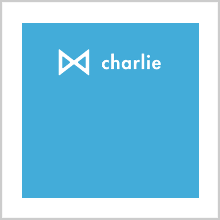 Today when the information is a very valuable thing, this application gives users a chance to increase their common knowledge, improve memory and finally have some fun. Every player have an option to check leaderboard which includes all players, both in singleplayer and multiplayer. Also there are player statistics that contain number of earned points and a number of played acts (act is a section of each movie, and each movie is divided in three acts). When it comes to graphics and design, they are on acceptable level. The colours give a user feeling of real cinematic atmosphere. With a good design, applications like these needs to have a good sound in the background, which is not the case with the Popcorn Trivia app. Every filmophile will agree that the famous soundtracks from the movies are an inevitable part of every movie quiz. Despite lack of sound, developer gave his best to make a lot of very good questions, that have to do with particular movie, which could intrigue even the biggest filmophiles. Finally, why should someone download this app? True movie lovers don’t need special reason, because this application includes everything that any movie quiz needs to have. Other owners of iPhones and iPads, who are not that “crazy” about movies, should definitely download it. Firstly because it doesn’t take a lot of space on their devices, and secondly, they certainly can learn about some interesting informations from the movies, which can make them eventually watch the movies from another perspective, as well as to watch movies from Popcorn Trivia movie list, searching for interesting details mentioned in questions. 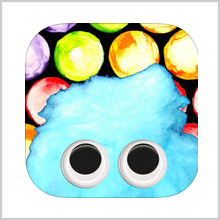 At the end, Popcorn Trivia app is a good way to become a part of large filmophile community!